Rainfall in 2012 was unusually high and many properties suffered as a result. Twistfix and our network of registered contractors were kept busy right over Christmas and into the New Year, repairing various water-related structural damage to a number of properties: inadequate damp proofing was high on the 'To Do' list. 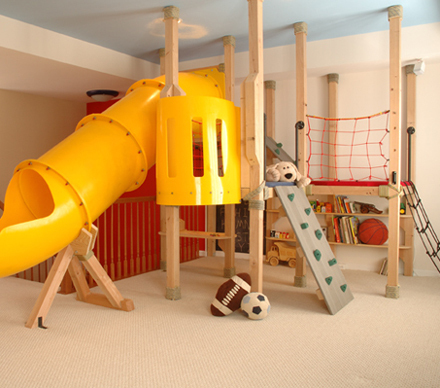 Damp proofing a basement is the first and most important step in any basement conversion. The problems caused by damp, including irrevesal damage to building materials, are well-documented and can have devastating consequences. The water table is the level at which the ground beneath is completely saturated with water. This level is variable dependent on a number of factors, including excess rain, soil drainage capabilities and height of the property's location. Low-lying areas of land are particularly susceptible to a high water table which means properties in these areas are especially vulnerable to flooding, particularly in basements and cellars. There is obviously nothing that can be done about the level of the water table and it is therefore absolutely essential to make sure that the walls, floor and floors of any underground space are well protected from any water ingress whatsoever. 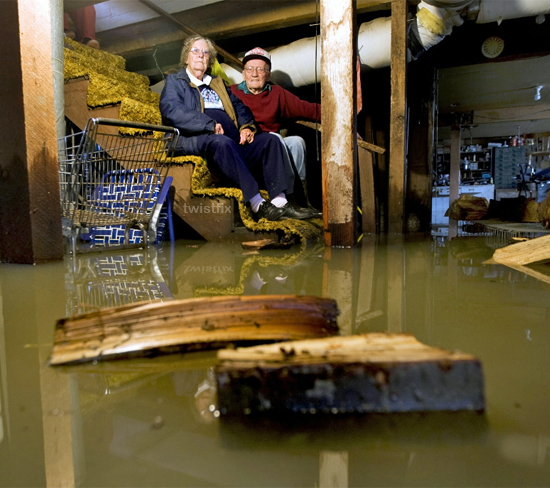 Even a small amount should not be ignored: any water inside a basement at all is a symptom of a problem that will only grow worse if left unchecked or poorly repaired. 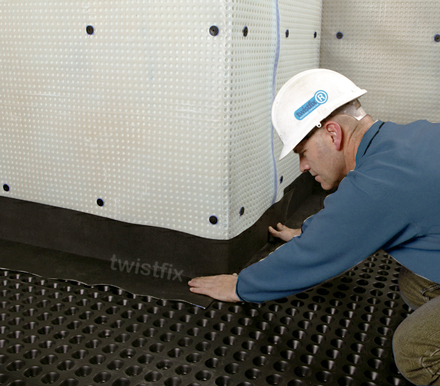 Twistfix supply a comprehensive selection of basement damp proofing products including damp proofing membranes, damp proof injection fluid, cellar tanking products and basement waterproofing systems. These products join our extensive choice of masonry crack repair and crack stitching products to form the complete Twistfix range of superior construction and repair products. For more information on our product range or on joining our registered-contractor scheme, please browse the website or contact a member of our team. Call 0845 123 6006 or email sales@twistfix.co.uk.